Doggone — Every Door Direct Mail really works! The dog days of summer continue in the August edition of Your Postal Podcast, with a story about a dog who was reunited with its Florida owners thanks to Every Door Direct Mail. You'll also hear about two Iowa clerks who transitioned to city carrier jobs as the Postal Service's network consolidation progresses. A roundup of postal headlines concludes the program -- along with a chance to win a free collectible folio featuring the new Forever Stamps commemorating the 150th anniversary of the Civil War. Photos: (left) Rather than say, "Goodbye Norma Jean," to their lost dog, her owners turned to Every Door Direct Mail in an effort to reach the neighborhood where the lost dog was last seen -- with heartwarming results. 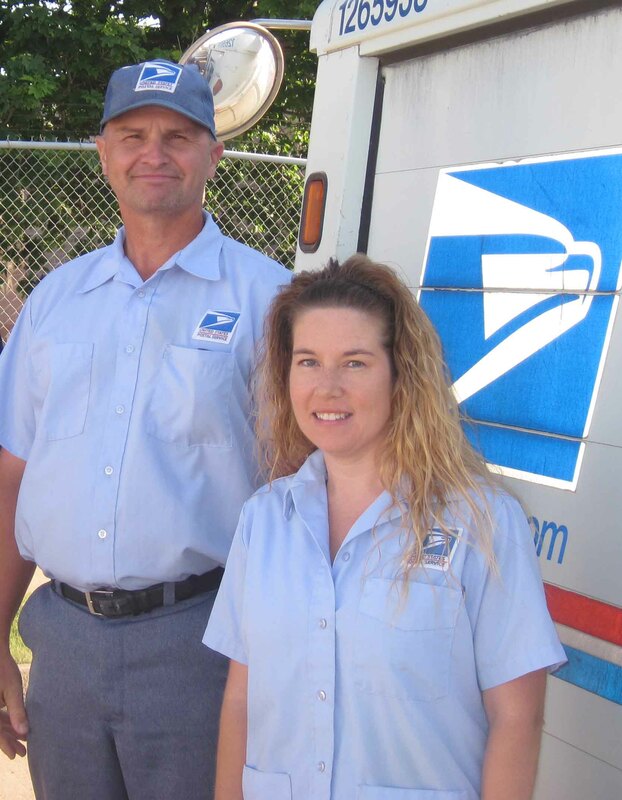 (Right): Loose dogs are but one of the many challenges successfully faced by Sioux City, IA, City Carriers Bob Myer and Michelle Glant after transitioning from jobs as clerks. Click here for a transcript of the August Your Postal Podcast.